Not sure what’s going on but I’m doing more damage then good. 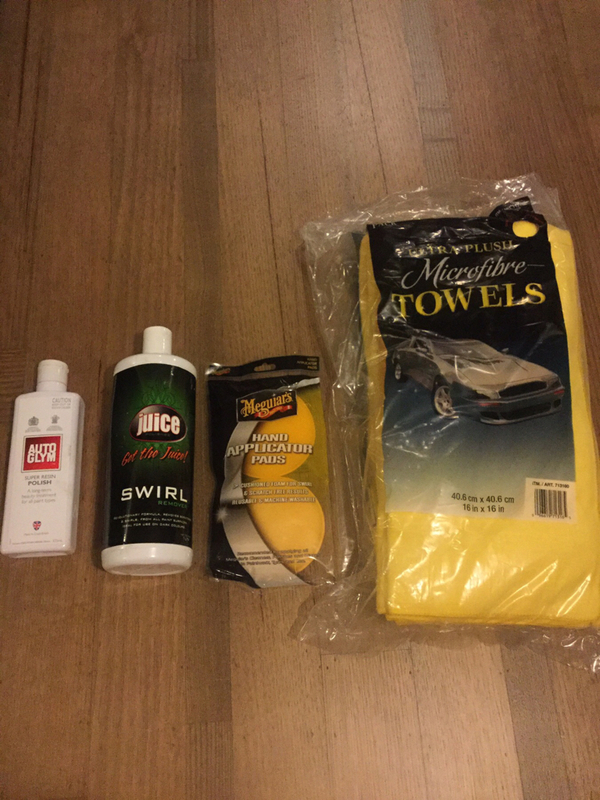 Applying Juice swirl remover with one pad and AutoGlym with another and removal with bran new micro fibres from Costco. No matter how hard or soft I apply it, I’m always ending up with scratches and swirls ? You need a buffer. Heat is what removes imperfections in paint. Also have you used a clay bar before? I’m not trying to take scratches out, I’m saying that when I polish I’m putting scratched on. Why is this happening? Every thing Sunday said I agree with except the application of glaze. Those towels are great but depending on how much product you have on the paint, it’s removal by using those towels is scratching. You should try using a machine first, and work the product in more, then remove with clean towels. You may also require softer towels for your paint. I’m not being specific with brands when I say glaze. It always starts some sort of battle. DuPonts rep is who gave me this info and I have used for years, glaze specifically fills certain scratches and swirl remover is closer to a final polish, if that makes sense. Do what ever you want!! Edit: machine polish is what I’m talking about. I’ve always called it glaze because it says it on the bottle. Last edited by sundaycruzers; 11th January 2019 at 03:27 PM. What brands of glade and orbital polisher you recommended? I got a orbital wax attack unit but don’t that that’s for polishing right ?